B.J info tech is a leading company in bulk sms. 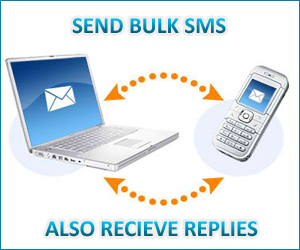 We provide you bulk sms services in Ludhiana, Punjab Bulk sms in India. In the last ten years, SMS is one of the most popular and flexible tools of modern communication. Our online SMS portal doesn’t requires any modems or special software, only an Internet connection required . The system allows you to personalize a message to several people in a few seconds (Bulk SMS) and you can add as many contacts as you like into your own personalized online directory. This enables more effective communication between you and your customers to improve your overall service levels. BJ Infotech introduction of customized Web-based SMS gateway solutions for organizations in the region. Organizations that can send text messages to their customers and prospects need to communicate directly to personalized SMS messages from their website. Our web-based SMS solution enables organizations to communicate seamlessly with its customers globally through our SMS gateway. Our branded software supports real-time tracking, integrates well into our e-CRM offerings and database groupings. Customers can SMS messages in bulk and through economies of scale to buy, we are pleased to offer inexpensive. The BJ Infotech’s SMS software has the ability to integrate the opt-in subscribers to the leading SMS and e-marketing portal in the region. Clients can not reach SMS campaigns to high net worth subscribers in a few minutes. Creative Web designers can manage synchronous connections to one or more of SMSC, SMSC support the major protocols, including HTTP, SMPP, CIMD2, UCP / EMI and GSM modems. Creative Web Designer does change the low level protocol details and makes it easily between different providers, and makes it simple, additional connections for situations where it can add advantageous to route messages for different countries via different providers is. BJ Infotech offers simple SMS gateway connectivity for those who need the SMS-enable systems, messaging solutions. With BJ Infotech’s API (Application Programming Interface) integration is fast, simple and reliable. Our API is immediately multicast messaging enabled, so that integration is no front-end or legacy system with direct connection to BJ Infotech global gateways.